Play Online Slots for Real Money in Canada! Do you like to gamble online and enjoy playing online slots for real money? CanPlayCasino.com is a new Canadian internet and mobile casino with one of the largest selections of online slots in Canada. With over 500 slots to choose from, CanPlay Casino Online brings the excitement of land-based casino gambling right to your desktop or mobile device. 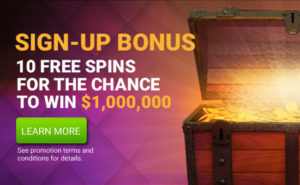 With stunning graphics and smooth gameplay, the online slot machines at CanPlayCasino.com continue to be one of the online casino’s most popular offerings. Our mobile casino games offer Canadian players a great way to win big through our countless digital slot machines for real money right on your smartphone or tablet. 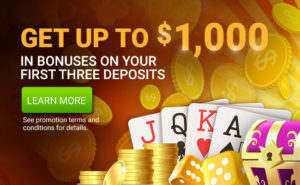 In addition to featuring exclusive, interactive online slot games, CanPlayCasino.com also boasts many of the world’s most popular and well-known online video slots titles. If you are an online slots player looking to win big, register for a free account to check out our online casino slots and start winning real money today! For first time players, we have a sign-up bonus and daily promotions including a daily free spin for a chance to win a jackpot of one million dollars. 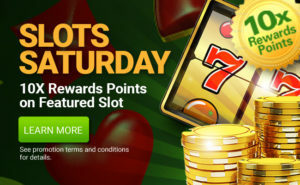 Sign-up today and start gambling for real money on our online slot machines!